Longitudinally, orchids have been cultivated far longer and earlier in the East than in the West. They have been recorded in various documents from the ancient history in China, including herbal medicine books more than three thousand years ago, the “Book of Changes” 易經 dating back to the first millennium BC, and the first manuscript to deal with botany in its entirety around 300 BC, as well as the oldest Chinese dictionary entitled “Shuo Wen Jie Tzi” 說文解字 (edited by Xu Shen, a famous Chinese scholar during the middle part of the Eastern Han Dynasty from 25 AD to 220 AD), in which the Chinese word 蘭 encapsulates perfumed plants prominently represented by orchids, especially the Cymbidium orchid, which is one of the classic flowers of Chinese and Japanese horticulture and art. 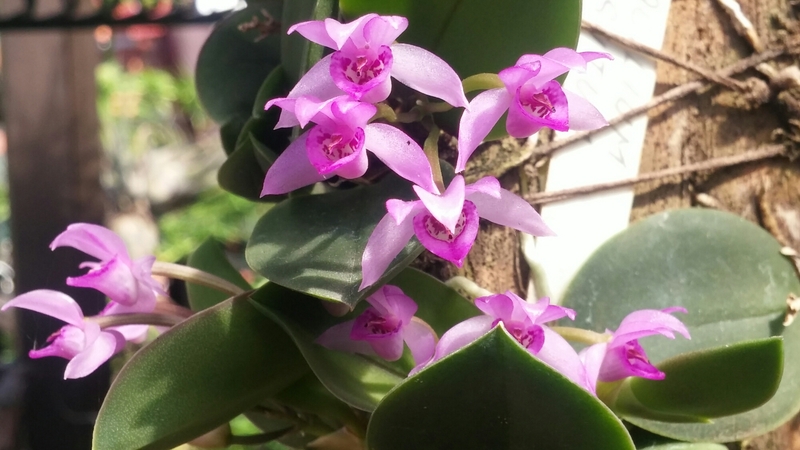 The East-West divide rests not solely in the encounters, utilizations and documentations of endemic orchid species but also in the morphological differences between Occidental and Oriental Cymbidiums, accentuated and consolidated over epochs, dynasties and generations by sociocultural forces more than by geographical factors. 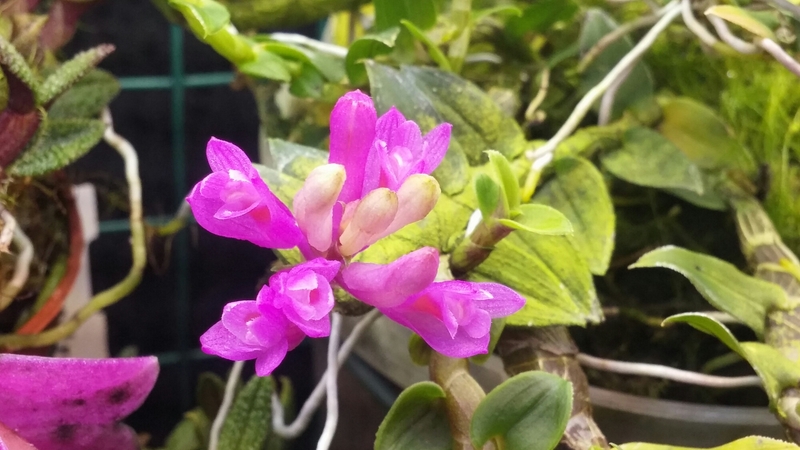 In other words, whilst globalization has distributed many orchid genera and species far and wide, the largest cultural (and horticultural) divide between the East and West in the cultivation of orchids nowadays probably lies in the Cymbidieae tribe. 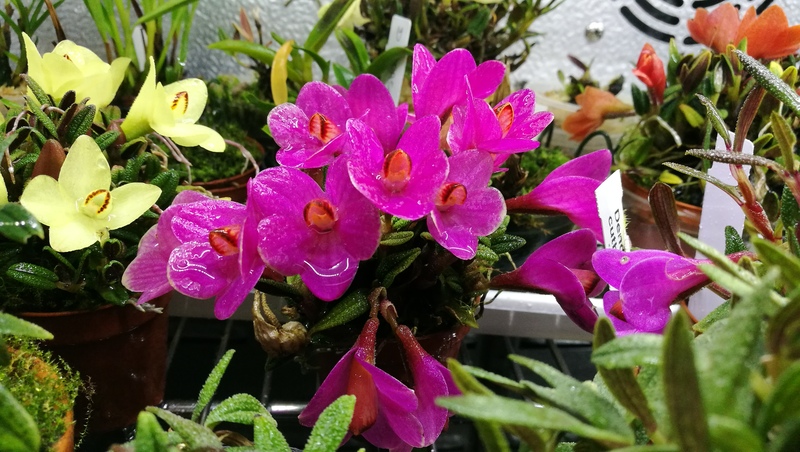 The typically showy and colourful hybrid Cymbidiums that appeal to Western growers are plants from (sub)tropical Asia with green leaves and little or no fragrance. 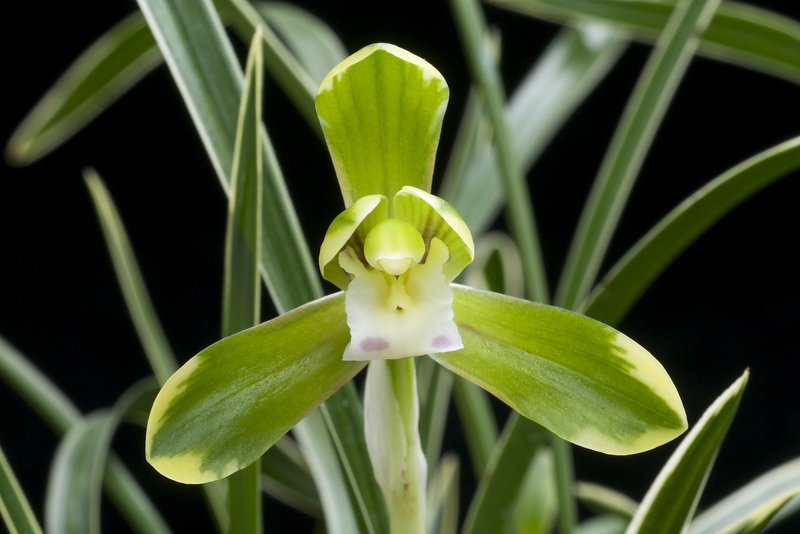 In contrast, the petite and subdued Cymbidiums preferred and coveted by Eastern growers are the fragrant temperate species with foliage and floral chimerisms that arise from spontaneous natural variants and hybrids. Oriental Cymbidiums (Asian Cymbidiums or Chinese Cymbidiums) have long been regarded by the Chinese as one of the four noble plants 蘭菊竹梅 (orchid, chrysanthemum, bamboo, plum). 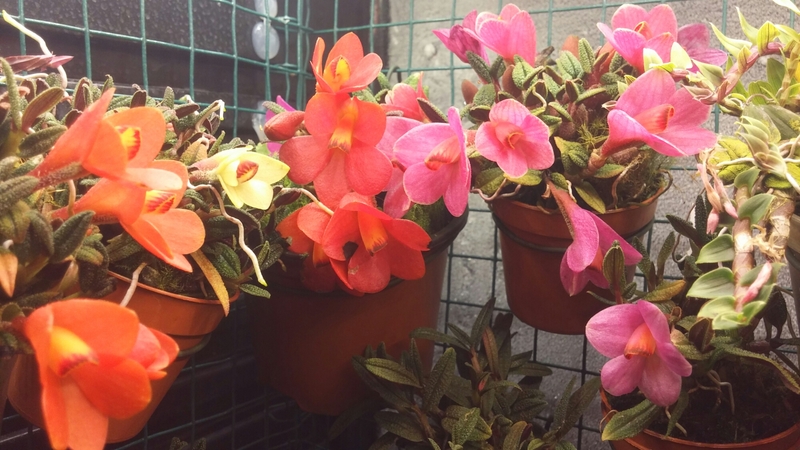 In fact, they were deemed as the most precious of the four to the extent that they required special growing technique in pots with well-drained soil, which only wealthy and noble people could provide and enjoy. They were collected by the nobility (sometimes on behalf of the ruling emperors) from the high mountains and brought back to palaces, where certain natural variations of some species were favoured and selected for many generations to accentuate the desired traits and prized attributes in those species via careful divisions of the plants, which were grown in elaborate containers, and were often exchanged or given as gifts with visiting land barons. The value of such a gift was in direct proportion to the rarity of the attributes, and the status accorded to the plants were such that discussions about the orchids and their growing conditions would begin with a tea ceremony accompanied by burning incense. After the Wei and Jin dynasties (220 to 420 AD), orchid cultivation expanded from the palace to the private gardens of the literati class, where they were used to adorn gardens and beautify landscapes. By the time of the Ming and Qing dynasties (1368 to 1912), descriptions and depictions of Oriental Cymbidiums have firmly established in various books, pictures, poems, porcelains and crafts. A solitary orchid adorning the side of a mountain perfumes the air even in the absence of any human presence or appreciation. A true scholar learned in morality and philosophy is always a noble gentleman holding firm to his high principles even in the absence of wealth or prosperity. Confucius also referred to Oriental Cymbidiums as the “King of Fragrance” 「王者之香」, a phrase that is still in use today, having withstood the test of time and the rise and fall of dynasties. Beautiful, graceful, elegant, exquisite orchids growing in the vacant valley. Figuratively describing something rare, commonly used to express or denote the elegance, grace, refinement, style or beauty of a human character. In conclusion, under the rich Chinese cultural characteristics and heritage, Oriental Cymbidiums have come to symbolize elegance, grandeur, refinement, purity, virtuosity, friendship, nobility, patriotism, stoicism and spiritual perfection. They are known for their graceful leaves, dainty blooms and distinctive fragrances. Selective breeding, chance mutation, keen observation, perennial patience, meticulous cultivation and meristem cloning have produced startlingly beautiful forms in Oriental Cymbidiums, resulting in long-lasting fragrance, peloric flowers, variegated leaves and dwarf varieties loved by admiring fans and dedicated growers for hundreds or thousands of years in China, Japan and Korea. Many of them are grown as accent plants to be appreciated in the contexts of art, decor, poetry, caligraphy, painting, philosophy, Zen Buddhism, monasticism, Confucianism and Daoism, all of which are underpinned by various forms of aesthetic sensibility, spiritual ideal and cultural connotation. Some exemplary specimens are even considered as national treasures. The flowers are sometimes used as ingredients in soup, tea, alcoholic drink and certain food. 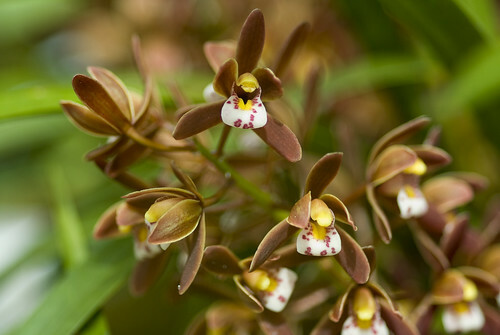 Cymbidium goeringii 春蘭 from China, Korea, Taiwan, Japan, the Ryukyu Islands and the western Himalayas (Photo credit: Wikipedia) has many subspecies and varieties. Strict adherence to proper growing conditions are usually required on an ongoing basis to maintain variegation and peloricity. Otherwise, reversion to undesirable types may be permanent even upon resumption of proper care. For example, improper fertilization or taking divisions with single growths (less than two pseudobulbs) can cause the loss of variegation in the Da Mo varieties of sinense, which are special dwarf, compact forms named after the Zen Buddhist Monk called Da Mo (達摩). It is somewhat ironic that “monastic discipline” is required for the optimum cultivation of these cymbidiums. Variegated and peloric varieties or chimeras can originate from the following Cymbidium species and their crosses. Habitats of the endemic species and natural hybrids include open woodland forest, evergreen lowland forests, montane forest, on the ground or on damp shaded evergreen trees. The elevation can be from the sea level to 2500 metres, depending on the place of origin and climate. Chinese growers aim for petals as those of plum blossoms: round in shape, minimum eccentricity. They include the daffodil, lotus and plum shape. 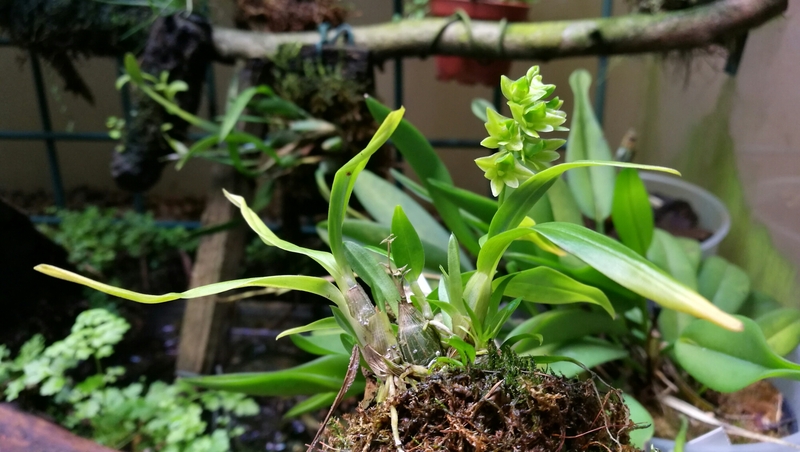 Excellent or exceptional photos and videos uploaded to the group may be featured in the following Gallery of this post to provide exemplary visual documentations of Variegated Oriental Cymbidiums. Please visit the post entitled “Variegated Oriental Cymbidiums 🌏🏯🎎🙏🌸💮” to see some excellent examples. SoundEagle is glad that you found this chimeric post so noteworthy and edificatory that it temporarily arrested your verbosity, perhaps even leaving your thought and reasoning in variegated overdrive or peloric meltdown. 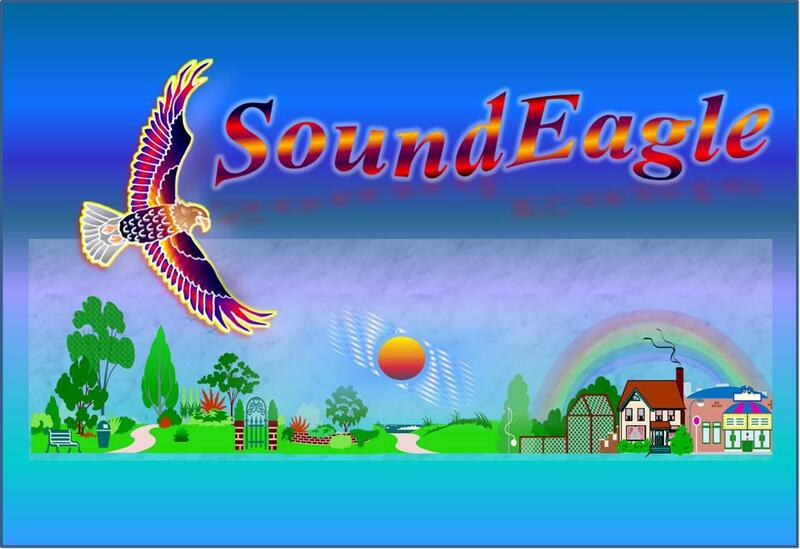 SoundEagle . What’s with the angry face icon ? LOL . There is a song I’ve heard recently & the lyric is “all I want for Christmas is you ” , is kinda apt you know !! 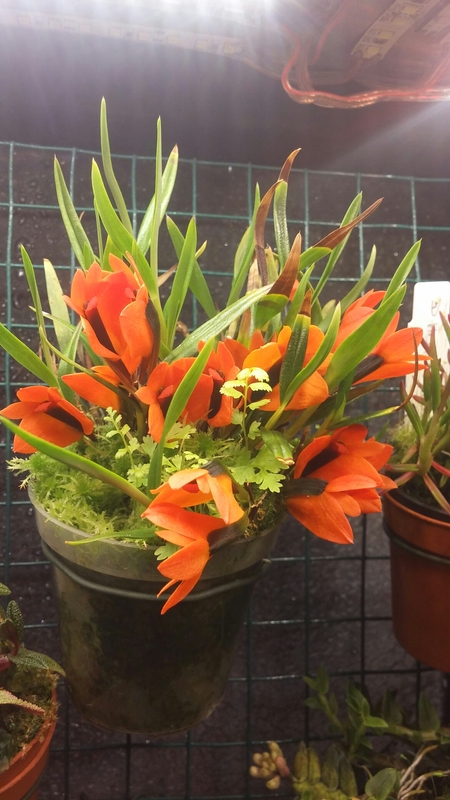 Hi thenakedflorist, being held or locked up by customs is unlikely or implausible since SoundEagle has never conducted any illegal importation or exportation of orchids. In contrast, your being a naked florist might cause you to be retained by customs on the charge of public indecency, even if your undressed self could be as attractive as a gorgeous Cymbidium orchid. As for the icon, you are free to change it to something else (that is more or less befitting thenakedflorist) at your discretion. SoundEagle , do u have any of the afore mentioned orchids ? The answer is usually reserved for those who have visited and witnessed SoundEagle‘s humble collections. 歡迎您光顧昆士蘭省蘭花協會的網站！ SoundEagle is almost certain that you are the first to (partially) comment in Chinese at this website, not to mention that you also happen to have a Chinese name, 泰山, meaning Tarzan. Needless to say, should you wish to contribute some essay(s) on this blog, you are very welcome to be a polyglot here as you indulge yourself or entertain us by applying whatever you have learnt in your Management and Psychology double major in the Business School at Rutgers University as well as Graphic Design on anything pertaining to aesthetics, orchids, gardening, botany, horticulture and other related domains. I found this to be a most surprisingly informative educational and enjoyable article. I had not at all realized just how important Varigated orchids were to Asian and Chinese culture. 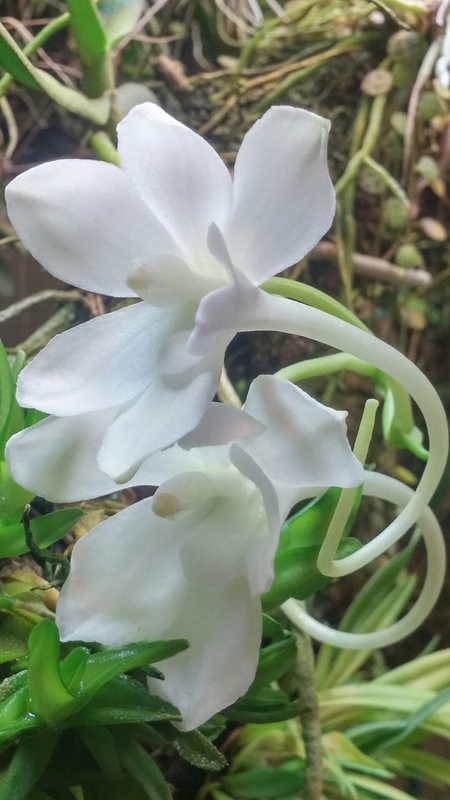 The significance and the role these orchids played and how they related to ones position in society whether they be Royalty , nobility, wealthy or religuous order they were percieved as highly valued gifts which notably were grown in special containers and groomed carefully to maintain their varigation. Grown for their perfume their beauty and as a status symbol. The inportance of gift giving and the discussion at Tea parties was a important part of the Chinese culture that I had never heard about.The eminent scolars who wrote about them. Their medicinal and culinary use, all quite surprising. Definitely an article that you can read over and over and still pick up something you missed each time you read it. I will be reading again. I loved the acompanying pictures of these beautiful examples of varigated Cymbidiums and was interested that the they are not all necessarily grown for their flowers or purfume that some are simply grown entirely for their beautiful leaves. I hope everyone who reads this will enjoy it as much as I did, and read it at least a second time, tell others about it too. Thank you K.W you have written a wonderful comprehensive article yet again. You are most welcome, Barbara! SoundEagle is delighted by your account of what this special post has done for you and meant to you. Also heartening is your appreciation of the fair amount of meanings and symbolisms of orchids in general and of Oriental Cymbidiums in particular. Should you be wondering why SoundEagle has endeavoured to broach so many areas or facets regarding Oriental Cymbidiums, then SoundEagle would like to explain to you that apart from the salient details and differences already outlined in the post to contextualise and underpin the historical, sociocultural and sociopolitical developments as described in the post, you can gain an insight into the validity of this post through an awareness or recognition that the extended, pluralistic subjectmatters of this post are themselves the product of SoundEagle’s wish to be consilient and holistic whenever time, energy and circumstance permit, such that the ethos, perspectives and objectives of ✿❀Queensland Orchid International❀✿ can be well represented by the styles and contents of this special post. 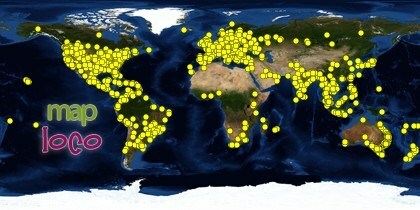 It is also hoped that this post can serve as a cultural bridge between the East and the West in a modest way via the translation, edification, promotion and dissemination of information pertaining to the long cultures and traditions that have accompanied such orchids and their ardent champions through art, literature, poetry, gardening and horticulture. Should you come across more information and additional developments regarding variegated Oriental Cymbidiums, please kindly share them in the comment box below. Thank you in anticipation. Thanks! Very informative read! I thought my tiny seedlings looked like these more mature ones! I actually got 2 flasks of Chinese cyms last October. One is variegated. This is my first deflasking experience so I don’t know how the seedlings will go. I was thinking of asking someone to deflask for me but I decided to do it myself! By the looks of things, I think I am going to lose some! But some should survive too! We’ll see! Welcome, Paz! Thank you for visiting and leaving your comment. SoundEagle is delighted that you find the special post a good read, and that you have acquired a considerable number of Oriental Cymbidiums, including a variegated one, all of which you hope to maturity without a hitch. I don’t know how my fragile tiny seedlings will look down the track so it was a pleasant surprise to see your post! I hope I can get them to look as healthy! 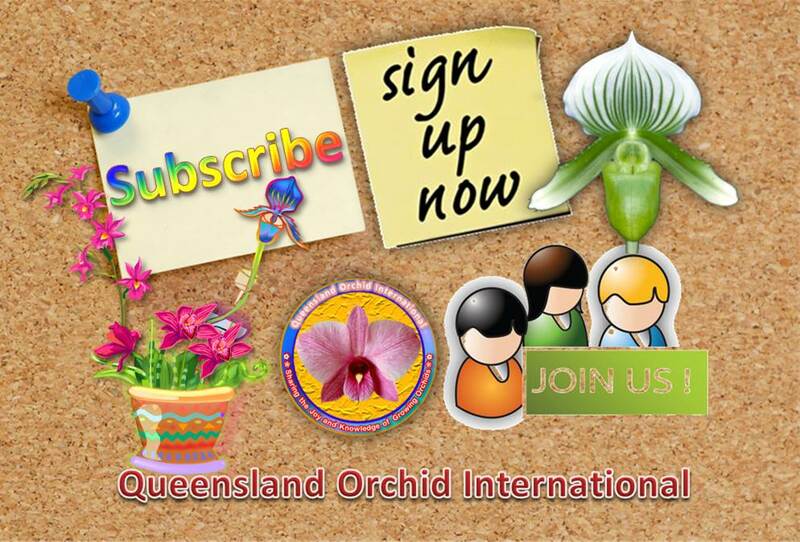 May you have a wonderful year of growing orchids in 2015! Very informative and interesting read. To be honest I have never heard of variegated cymbidiums and you have enlighten me in this species, thank you. Interesting reading, thanks for the info. It is going to take a while for me to digest and have to read it several times too, thanks, so much to learn! May your subsequent readings of this post be even more enjoyable and beneficial! 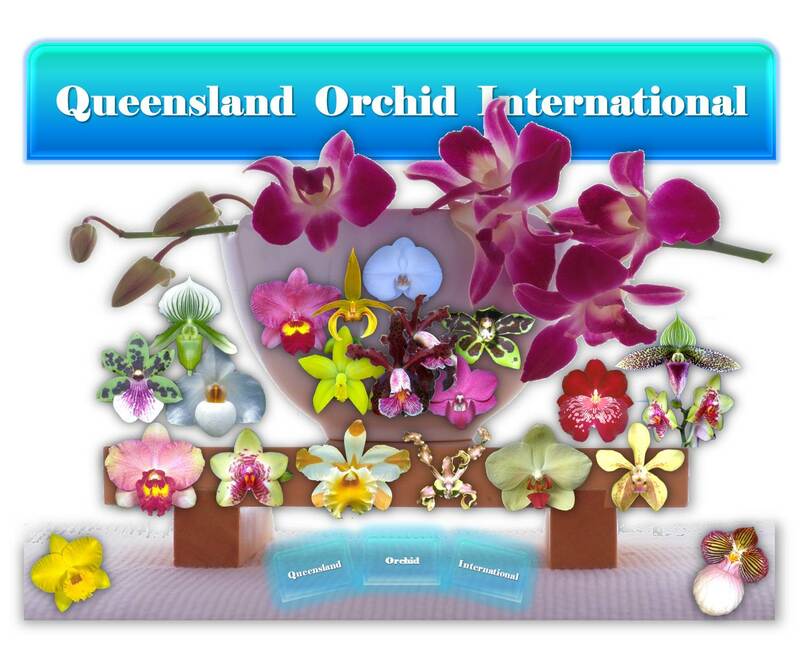 Hello I am happy to find your website on variegated cymbidiums. I have a variegated Cymbidium floribundum (pumilum) or a hybrid therefrom which might be named Kinryouhen ‘Shima’ or ‘Nakafu’. I am still trying to figure it out. Is anyone familiar with either of these cultivars? If so is there a way to exchange photos? I have posted two photos of the plant on the webpage https://www.facebook.com/groups/807268875969405/. Hi Robin Davis! Thank you for visiting this webpage. It appears that you have found some answers to your questions for your variegated Cymbidium floribundum ‘Joong Too Ho’ 중투호, which you consider to be not a Korean Cymbidium goeringii cultivar as it produces neither single flowers nor serrated leaf margins. All the best to your effort in growing it into a specimen! 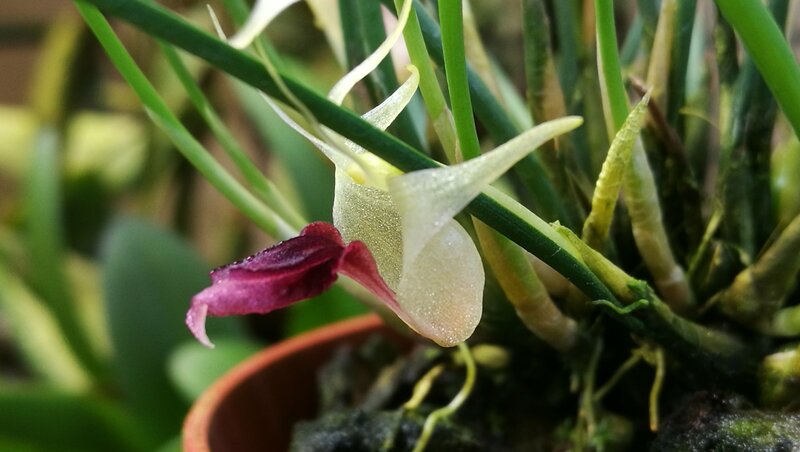 The Lepanthes species that we found in Costa Rica has been published. When me, Daniel and Eugenio were exploring the cloudforest of Cerro Arbolado we found several new Lepanthes species. Now some have been published and here you can read about this: http://www.epidendra.org/LITERATURE/Bogarin_Jimenez_2015_Lepanthesnovaedurikaenses/Lepanthes-Novae-Durikaensis.pdf http://www.epidendra.org/LITERATURE/Pupulin%20&%20Bogarin%202014%20Lepanthes%20guatelamensis%20group/Pupulin%20&%20Bogarin%202014%20Lepanthes%20guatemalensis%20group.pdf Here Lepanthes durikaensis is published. Lepanthes species Peru. 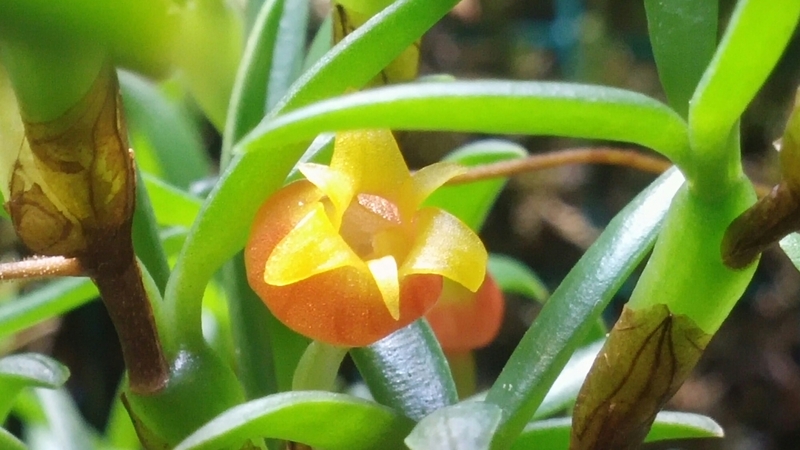 Here is some pictures of a Lepanthes sp that comes from Peru. I don´t know were it grows but will try to get more information about it. The lovely small flowers have beautiful colors. It flowers all the time. Flower size 4mm. More info and pictures soon. Platystele microtatantha. 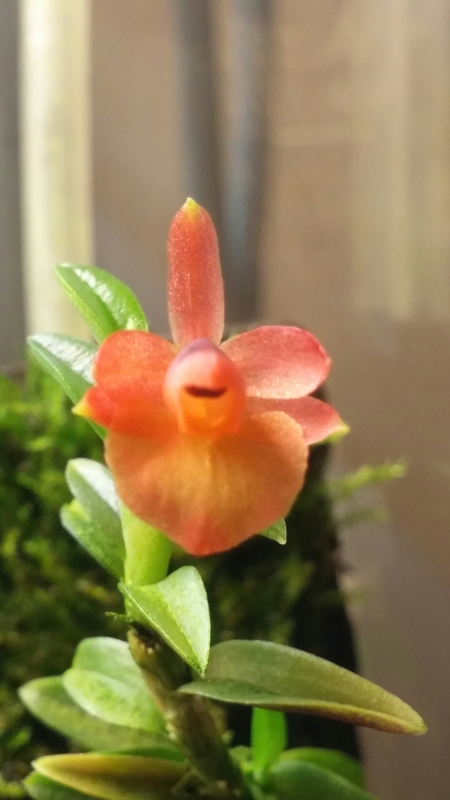 One of the smallest orchids in the world.